An exciting undercard features on tonight's main-event in L.A. between Deontay Wilder and Tyson Fury. 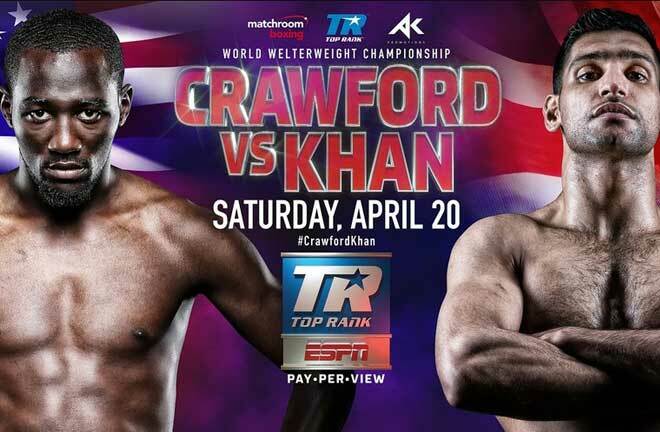 While the focus is firmly on the main event with the glittering prize of the Heavyweight Title on the line, the undercard at the Staples Centre in Los Angeles is packed with household names and hot prospects. The chief support is the stuff of dreams. Tividale’s British Middleweight Champion, Jason Welborn (24-6, KO7), fresh off a fight of the year contender, winning a thrilling rematch with Tommy Langford, is catapulted into a World Title match. He meets WBA (Super), IBF, and IBO Super Welterweight Champion, in Maryland native Jarrett Hurd (22-0, KO15). You would imagine the match has been made to showcase Hurd as a dominant Champion after a decent win in his last outing, unifying the three Titles that are on the line on Saturday night in the process. 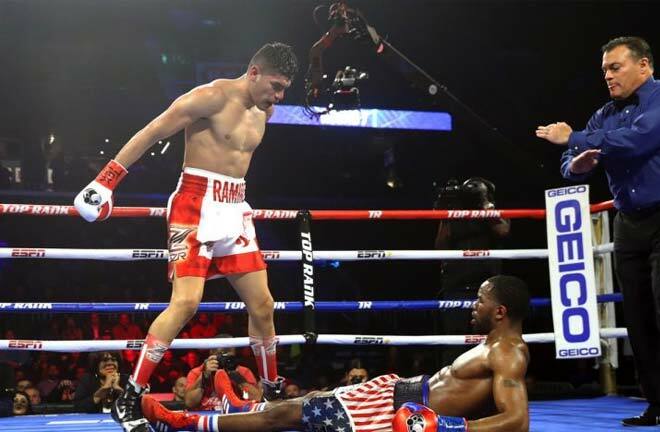 He successfully defused the awkward Cuban, Erislandy Lara via split decision, with the pivotal moment Hurd knocking Lara down in the final round to win by just one point on two scorecards. Hurd has really come to the Super Welterweight fore in the last couple of years. He stopped former Kell Brook victim Jo Jo Dan in six rounds in November 2016, and backed that up with a ninth round stoppage win over Tony Harrison in February 2017 to lift the vacant IBF Title. He made a solid first defence in a tougher than expected tenth round (retirement) win over former World Champion, Austin Trout. It was a competitive match, and was stopped by Trout’s corner in the end due to an almost closed right eye. Hurd unified with the Lara win back in April. Jason Welborn on the other hand has been nowhere near this level before. He unsuccessfully challenged for both the British Titles at both Welterweight and Super Welterweight, stopped by Frankie Gavin and Liam Smith respectively, and in 2016 he lost back to back fights to near 200 fight journeyman William Warburton over six, and then to Craig Cunningham two months later in a challenge for the Midlands Area Title. It seemed his career was going nowhere fast, but he took an opportunity on the Jorge Linares v Anthony Crolla bill in March 2016 with both hands, taking the unbeaten record of Marcus Morrison, winning handily on points despite being knocked down in the second round. He shed rust with a win eight months later over six rounds, and would then take another away assignment in May 2017 in a challenge for the British Middleweight Title. He met Tommy Langford in a classic in Walsall, and came away with a split decision win to finally become Champion. A rematch was inevitable, and in another classic, Welborn knocked Langford down twice, and had his man badly hurt several times, Langford rallied to his credit, but came up just short via another split decision. As good as these wins were, it’s hard to make any sort of case for Welborn to cause a seismic shock this weekend. 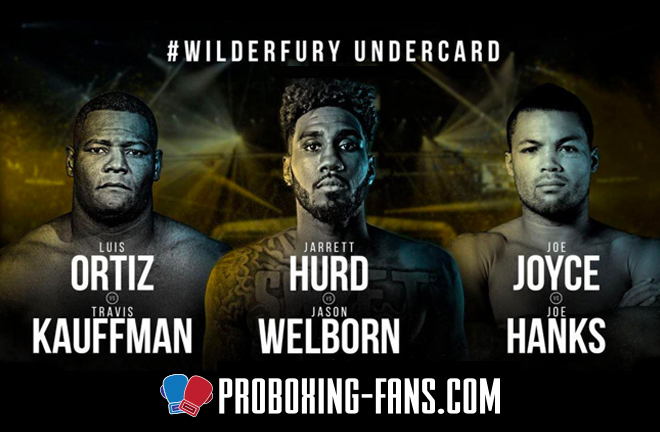 Hurd is a spiteful puncher, and I expect him to dominate Welborn from the off. I can see Welborn being knocked down early, before bravely battling on in a show of defiance. I expect “Swift” to get the Black Country man out of there before halfway. There is a vacant World Title on the line at Minimumweight, as Carlos Licona (13-0, KO2) and Mark Anthony Barriga (9-0, KO1) put their unbeaten records at stake for the IBF Title in a fight that is sure to last the distance given their extremely low knockout percentages. There’s an abundance of UK talent on the card too. 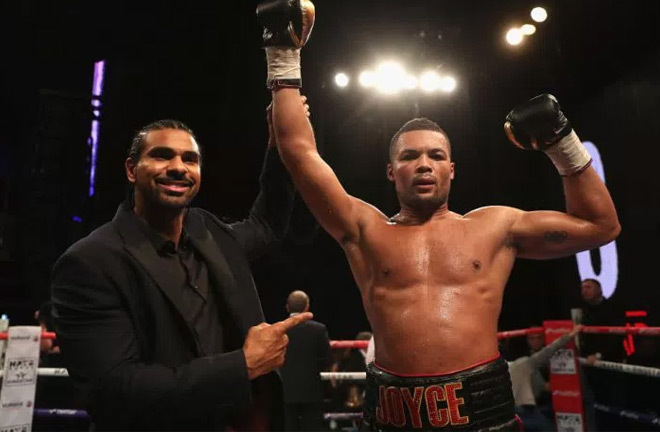 Commonwealth Heavyweight Champion, and 2016 Olympic Silver Medallist Joe Joyce (6-0, KO6) is again exposed to the US audience as he takes on the limited Joe Hanks (23-2, KO15) over ten rounds. 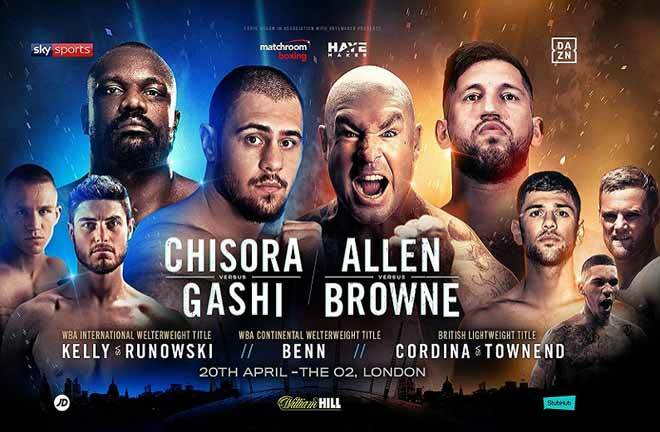 Tyson Fury’s cousin, and former Commonwealth Featherweight Champion, Isaac Lowe (15-0-3, KO5) appears on the card. He boxes an eight rounder against Lucas Rafael Baez (34-16-5, KO18). Robert Guerrero (33-6-1, KO18) finds himself way down the card as he attempts to halt an alarming slide which has seen him lose five of his last seven outings, including his last three on the bounce. 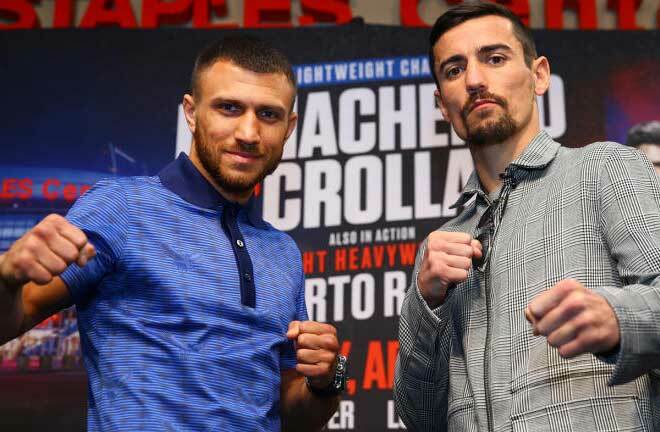 A former Interim Champion with the WBC, WBA and WBO, after his last defeat, a three round shellacking at the hands of Omar Figueroa last July, he announced his retirement, but he rolls the dice one more time, starting this weekend. 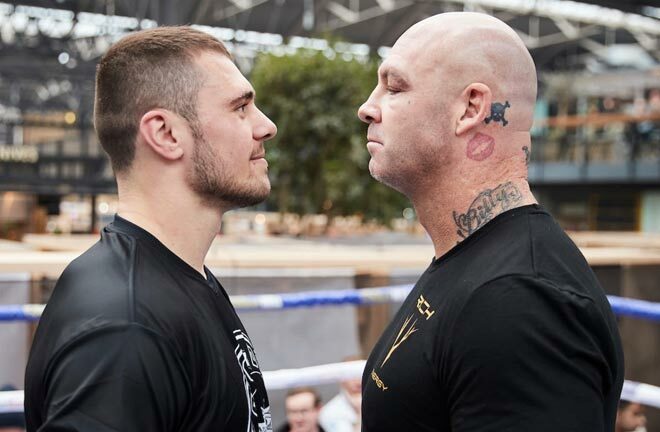 He meets the Hungarian, Adam Mate (28-12, KO21), who surely has only a puncher’s chance, and should be an ideal baby step forward for “The Ghost”. Likeable, but usually frustratingly out of shape Heavyweight Chris Arreola (36-5-1, KO31) returns after two years out, and after an unsuccessful eight round hammering at the hands of Deontay Wilder for the WBC Title in July 2016. He fights Maurenzo Smith (20-10-4, KO13) over eight rounds.